Added on August 13, 2013 by Renée Ricciardi. I've always enjoyed the tangible qualities of a photograph: the ability to experience it's physicality and to hold it in reality. With the popularity of looking at art on the web, the photo as an object is less common. 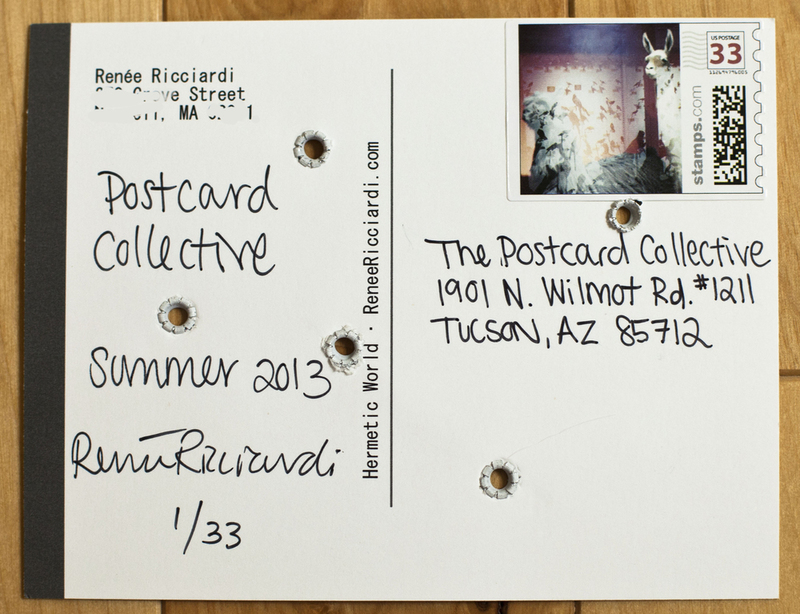 That is why I am so excited to participate in the 2013 Postcard Collective summer exchange. I chose this image of taxidermy wildlife since I wanted to play with the concept of boundaries and the idea of nature being a untouchable. By covering the image with a sheet of vellum, there is an additional layer that separates the viewer from experiencing the image. The white eyelets were attached by hand. 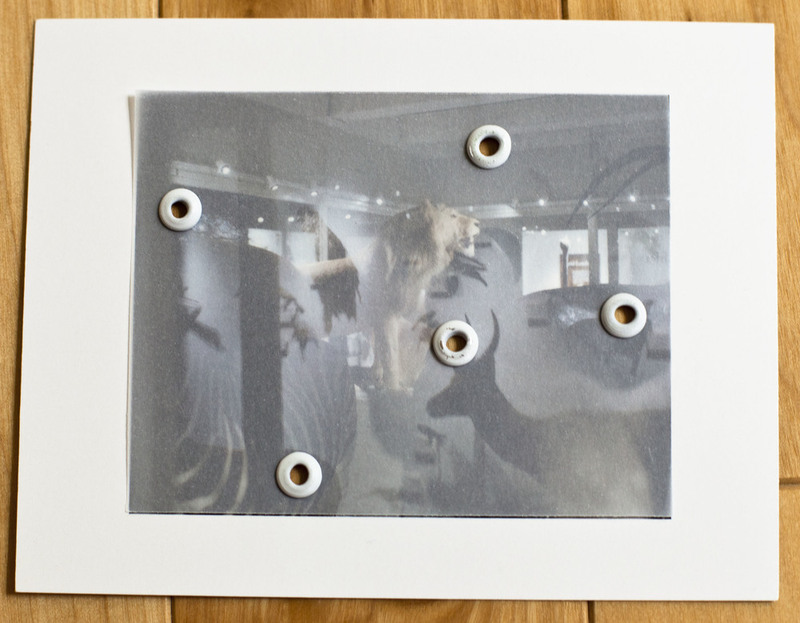 They purpose is to keep the viewer able to lift the corners and be able to play with the postcard, trying to peek underneath the semi opaque vellum. The viewer is thus able 1. to clearly experience PARTS of the image 2. be unable from looking at the images as a WHOLE. 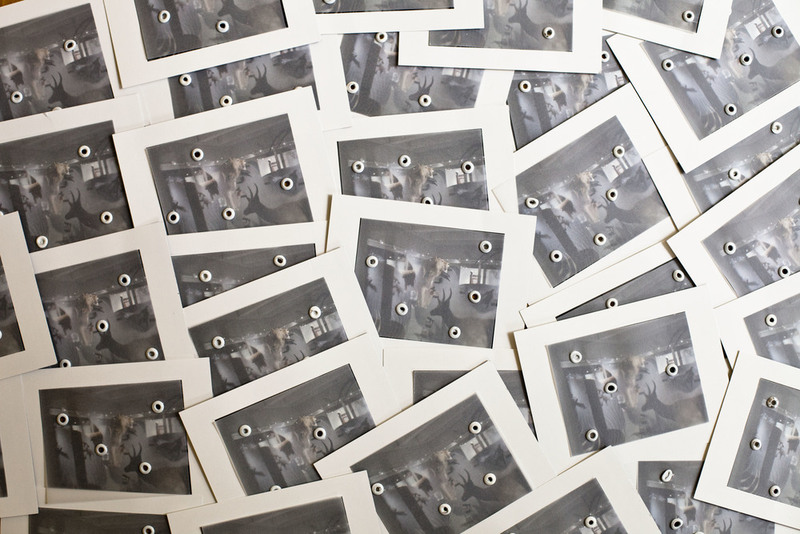 I made custom photo stamps using another one of my similar photographs. I do not consider these pieces finished until the mailing process happens, after they have gone through the United States Postal Service. The postcards are an edition of 33 and were mailed all over the United States. International postcards were sent to Finland, China, the UK, Canada, and Cyprus.